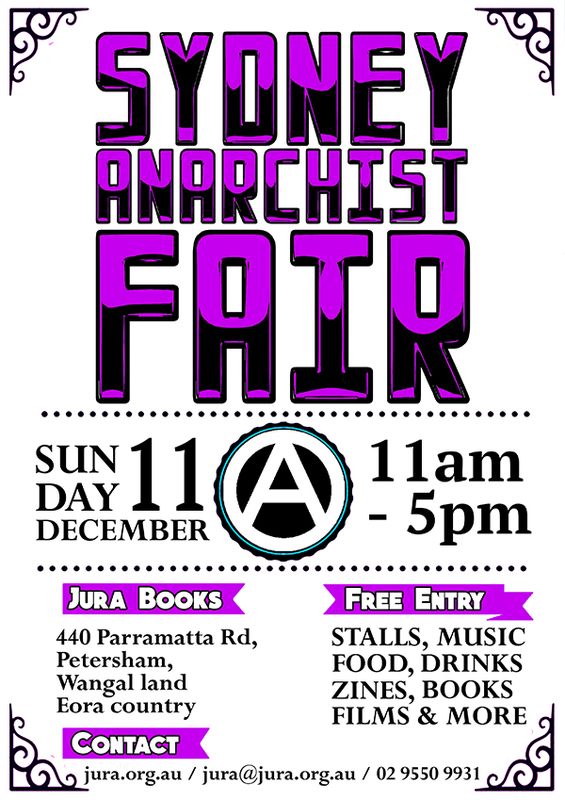 Stalls, music, zines and films. Feminist, queer, punk pop gig. A chat with author Clare Land. 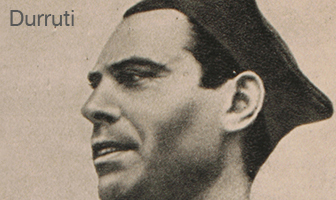 Free e-books + more events and radical ideas. 3pm, Saturday 3rd December, at Jura. Come and hear an introduction to this important book, followed by discussion with the author Clare Land. Based in Melbourne, Clare is a non-Koori activist and researcher who wrote Decolonizing Solidarity based on interviews with Aboriginal people in the southeast of Australia who have pursued land rights, black power and sovereignty, and their supporters. The book draws insights from a wide range of anti-colonial and anti-racist writings and is also grounded in Clare’s own sense of the politics of solidarity developed through her work alongside Gary Foley (Gumbainggir) and Robbie Thorpe (Gunai/Maar) over the last 15-20 years. Copies of the book are availble at Jura for $41. 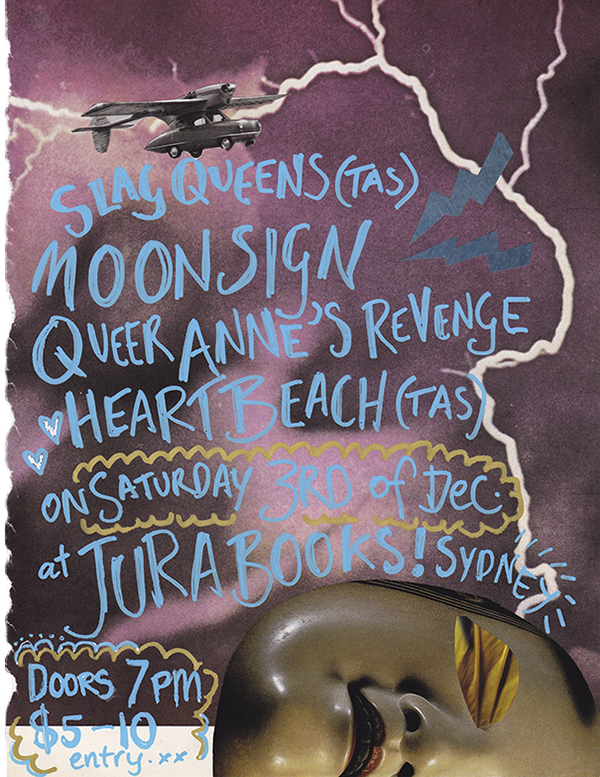 Jura is pleased to be hosting this awesome gig on Saturday 3rd December. $5-$10. "Slag Queens are just three slags trying to get by in the quaint town of Launceston, Tasmania. We play garage punk, pop/poop. Our EP 'sad things you find on the street' is just out. Moonsign are from Sydney and play dreamy queer electro pop mmmmmmmmmmmm yesss... soundcloud.com/moonsignband. HEART BEACH are from Hobart but are gunna be on the mainland touring their LP 'Kiss Your Face'. They play skuzzzzzz pop. Slags love Beach so it's so great they are playing this giggo. Queer Anne's Revenge are from Wollongong and play killa queer punk." The Tiwi Sistagirls of Bathurst Island (80km north of Darwin) are coming to Sydney for Mardi Gras in March 2017, and they are asking for support with funds to cover flights, accommodation and to put together their float for the night. The sistagirls have agreed to Students Support Aboriginal Communities (SSAC), a cross-university collective, organising a party celebrating and fundraising for their arrival. We are hoping to pull together at least $2000 to go towards the sistagirls’ trip to Sydney. The Tiwi Sistagirls have named the fundraising party Jilamaruwi, which means Body paint/Face paint in Tiwi. Donating their time and huge talents for your dancing (and fundraising) pleasure are... PassionPop | The real housewife of Sydney | Hip Hop Hoe | Slé | Koco Carey | Yung Brujo | Marlene Cummins | VJ Icki Sweet – Wiradjuri Video Art pixel painter | The Dreamtime Divas (travelling from the Macleay Valley). $10 unwaged, $15 General admission, $25 supporter ticket. More info over on the Facebook event. Out of prison, out of foster care - Bring the Children Home! Unite with Aboriginal people’s defence of Human Rights! Human rights abuses against Aboriginal people are at a crisis point. more children are being forcibly removed than at any time in Australia’s history. The torture of black youth in the Don Dale detention centre in Darwin is happening across the country and examples of extreme police brutality and killings of Aboriginal people in custody are being exposed every week. These abuses are rooted in a continuing invasion and denial of First Nations sovereignty. At this rally, Aboriginal leaders will be joined by representatives from other campaigns and marginalised peoples standing up against brutal human rights abuses by the Australian government. It is the same government torturing refugees in offshore detention, persecuting Muslims, destroying the environment and denying equal marriage and trying to criminalise trade union activism in the building industry and beyond. The March will commence at Custom House, Circular Quay at 1pm, which then we will all join together in solidarity march across Sydney Harbour Bridge. More info on their Facebook event. 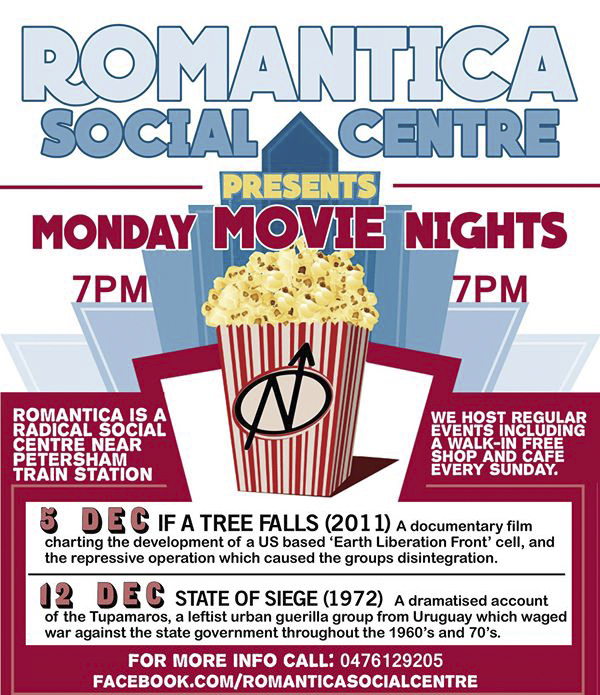 Romantica Social Centre open in Petersham! Monday 5th December – If a Tree Falls (2011): A documentary film charting the development of a US based 'Earth Liberation Front' cell, and the repressive opeation which caused the group's disintegration. Monday 12th December – State of Siege (1972): A dramatised account of the Tupamaros, a leftist urban guerilla group from Uraguay which waged war against the state government throughout the 1960s and 70s. Check out their Facebook for more info. Sydney Solidairty Network is getting active again, and needs your involvement! Come to the organising meeting at 6pm on Tuesday 13th December at Jura. Radical posters for the win! We've been working hard to preserve this important poster collection. Jura collective members and volunteers have spent hundreds of hours over the last few years organising the posters. 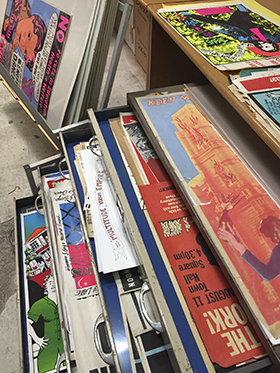 Last year we took high-quality photos of 1,500 of the most significant posters. We're currently re-sorting the collection in preparation to sell a selection of special duplicates – all money raised from this sale will go to preserving the rest of the collection. We do our best to store the collection professionally, but we need funds for acid-free paper and mylar-sheaths. If you are interested in helping with this work, please get in touch. We also aim to make our poster collection available online eventually. 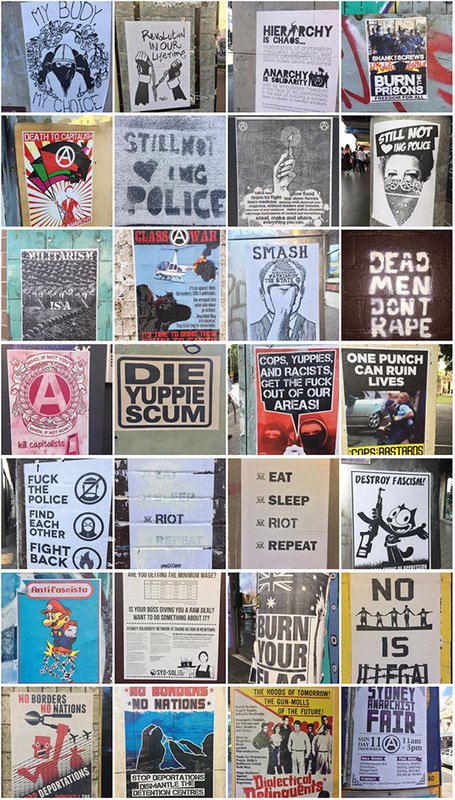 As an adjunct to our poster archive project, we've started collecting snaps of the anarchist posters and graffiti which go up on the streets in Sydney. While we don't agree with all the politics of all these posters, we love seeing the streets filled with anarchist propaganda, and we think it's worth documenting. Check out the photos on Facebook (and please like and share them!) and if you have a photo of a poster we don't have yet, please send it to us! Free e-books from AK Press! Download these three great titles for free – until 30th November. AK Press is offering three great e-books for free, but only for a couple more days. The titles are Militant Anti-Fascism: A Hundred Years of Resistance (by M. Testa), Taking Sides: Revolutionary Solidarity and the Poverty of Liberalism (Edited by Cindy Milstein), and Undoing Border Imperialism (by Harsha Walia). Good news! A new union has been started to challenge the scumbag SDA bosses' union. We encourage you to join the new Retail and Fast Food Workers Union if you work in the sector (or as a 'solidarity supporter' if you want to support them but don't work in retail or fast food). You can also read more about them in the SMH, or check out the RAFFWU website or Facebook. If you don't know why the SDA leadership is so bad, check out this feature-length expose from the SMH earlier this year. Thanks for reading our monthly email newsletter! This is a great way to stay in touch with Jura. But sometimes things happen quickly, and we can't get the info to you via this email. If you'd like to stay in touch in a more immediate way, we'd love you to join our SMS list! It's usually one message per week or less; you can unsubscribe anytime by replying 'unsubscribe'. If you'd like to be on the SMS list, simply email us your mobile phone number. For those using the secure message app Signal (a good choice if you care about privacy), we'll message you via that app. Other good ways to get more connected are by tapping 'see first' on our Facebook page (tap the 'liked' button), or subscribe to our Facebook events (under the 'upcoming events' box on our page) or we'd love you to be Facebook friends with Fanya, Jura's assistant librarian.